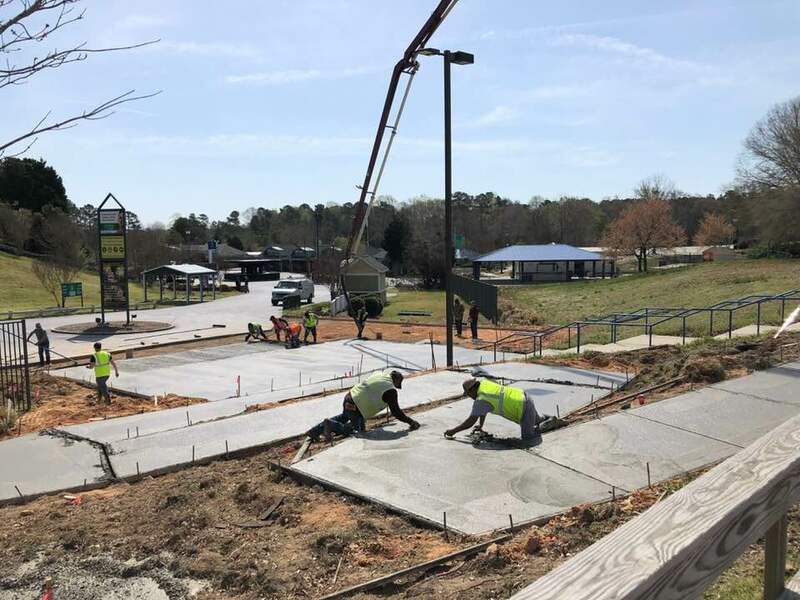 Capital City Curb & Gutter provides Commercial & Residential Concrete & Stonework/Masonry Services To Customers in NC, SC, & VA. We are based in the Raleigh, NC area. Capital City Curb & Gutter is your resource in NC, VA, SC and surrounding states for all of your residential or commercial concrete solutions. 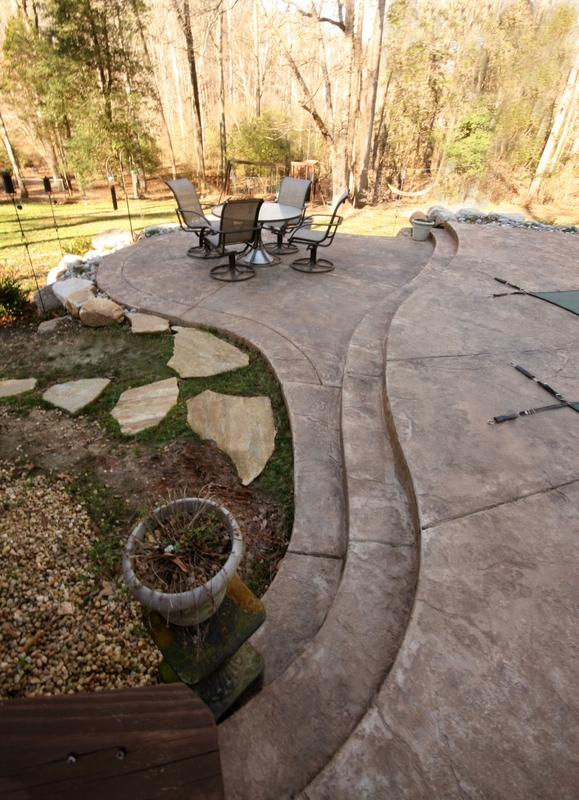 We are expert hardscape and masonry & sonework contractors for our entire service area. We may be located in Wake Forest, NC (close to Raleigh, NC), but serve customers over a large regional area. So if you own a home and are looking to have your dream outdoor area planned and created or if you are a business owner looking to have sidewalks installed or curb & gutter solutions, you’ve come to the right place. If you own a business and need custom concrete solutions, you’ve found the right team. Put our years of experience, in the concrete & stone industry, to work for whatever your project is. We want to be your resource and our extensive knowledge, coupled with our project design and management experience, means that your home improvement or commercial project will be finished on time and within your budget. We handle a number of stonework and masonry projects for both residential and commercial customers, because these jobs have a similar size and scope, we wanted to let you know about them without putting them under the headings of residential or commercial. 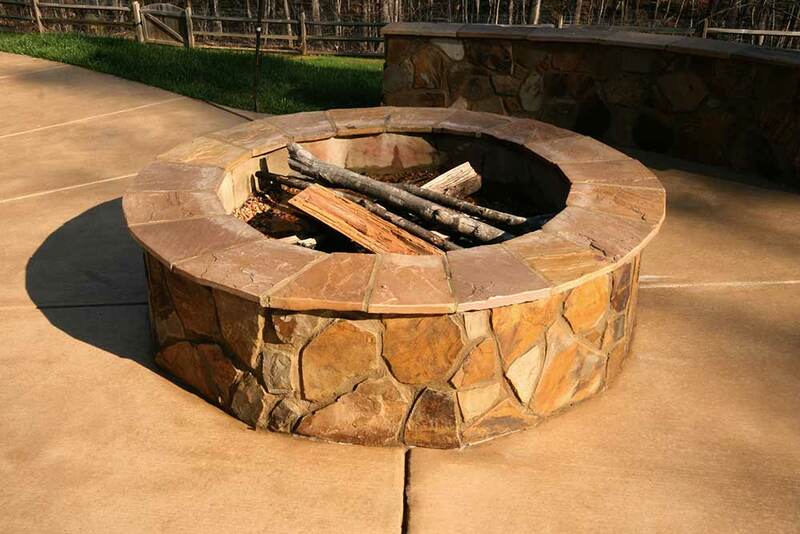 We would be happy to assist you on your next stonework or masonry project and offer the following services to our customer in Wake Forest, Raleigh, and surrounding areas. I can’t thank These guys enough for the job they did on my 2,200sqft pool deck and coping. They worked closely with my wife to get the Exact color and stamping She wanted. The work was impeccable. I’ve had a couple of concrete pads put in over the years in other houses , these guys by far are the best I’ve seen. They know concrete! I also had a water issue in the back of my property, they knew exactly how to solve the problem by putting in a great looking French drain. I look forward to working with these guys on Phase 2 the outdoor kitchen and fireplace project. If you want it done right Capital City Curb are the ones you can trust! I cant say enough good about Josh and his team! From the start to the end they were on time, communicated, were friendly and did amazing concrete and retaining wall around my new pool. If I have any questions or concerns, Josh takes the time to respond and explain. I would highly recommend them! Capital City Curb & Gutter is a high-end contractor at a modest and reasonable price. Josh Thompson and the team at CCC&G are concerned with customer satisfaction. They completed the Hardscape around our new pool and far exceeded our expectations. The job included 600 square ft of travertine, travertine coping and a 46’ wife stone retaining wall with three 2’ sheer descent waterfalls. At the end of the job they cleaned up and hauled away all of the pallets and trash, swept my driveway so that the only thing left was my beautiful pool and back yard. My neighbors have said it is the most attractive pool they have ever seen. Thanks Josh and team. Amazing experience from start to finish working with Josh and his crew. It was clear to us, that Josh was an expert in his knowledge of pool patios and hardscapes. Not only was he professional, he was also very friendly and easy to work with. Josh made our vision come alive for our pool patio and stone veneer retaining wall. We thank Capital City Curb and Gutter for excellent customer service and and a job well done! Highly recommended!